Gràcies (in catalan language), thanks for your research articles…. I always enjoy your posts. This one is interesting as usual and I love the high quality illustrations. 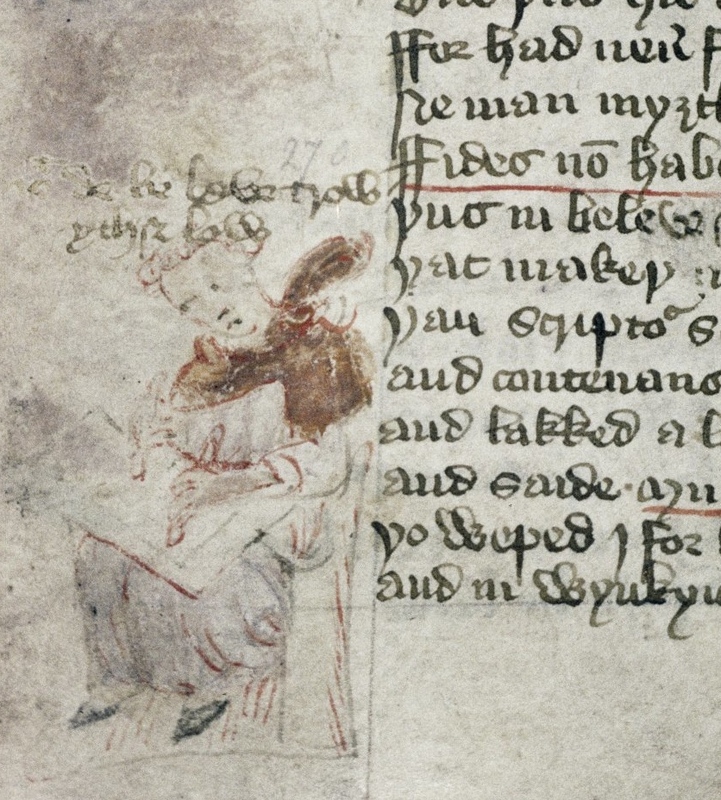 The scribal portrait I am most familiar with is the Scribe Eadwine in the Eadwine Psalter, Trinity College, Dublin Ms. R.17.1. 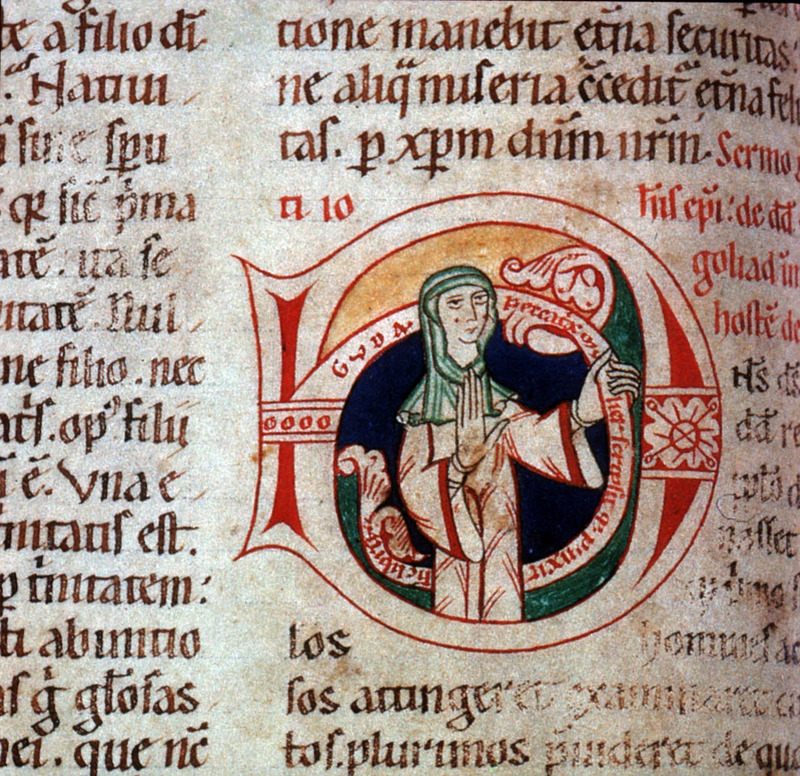 As a full page illumination, this image is quite different from your examples. Do you know of any “self-portraits” that are so large? Fascinating article! Poor Nikolaus Bertschi in that 1512 “selfie” shown above: apparently his wife, Margarete, well-fueled with ample quantities of drink, will not leave the poor man alone to do his work! 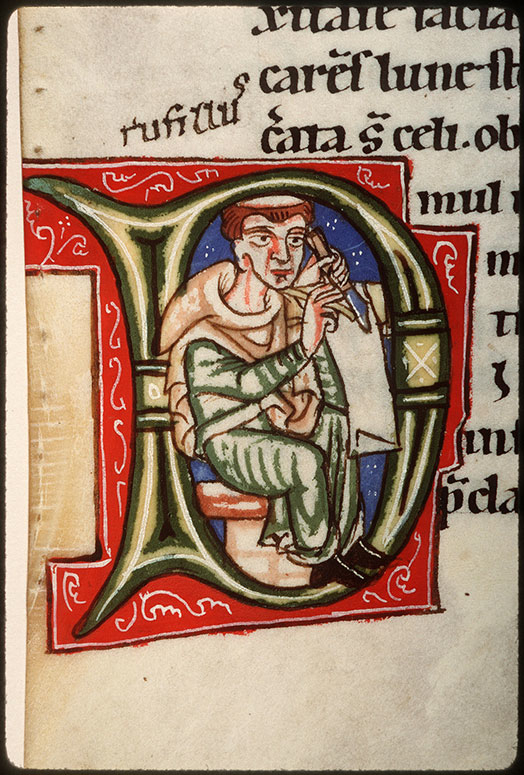 The problem with scribal portraits is that most are made by decorators: even though they portrait scribe X, they were made by decorator Y. 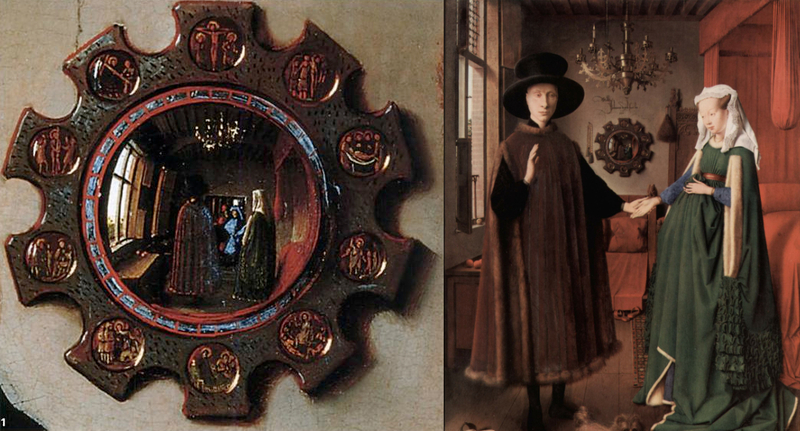 So these (and Eadwine) are different: they are portraits, but likely no self-portraits – selfies. I know of very few scribal self-portraits; all are small. Just reposting so I will have a copy of this. Thanks for posting, great article! I try to – thanks for your interest! i’ve been enjoying reading your blogs, and watching some videos here. i particularly like the selfies above, i teach teenagers who are forever taking selfies on their cellphones. i also loved reading about the garbage book, and have made a few such things myself. I enjoyed reading your interpretations of the calligraphic art. Original and creative. Love it! I was fascinated by this in college art history. Cool article and research! Happy researching! I was expecting self portraits. Still, good stuff. Well, that was truly interesting. I liked it a lot! A fun read and thought provoking. Thanks for posting! Reblogged this on Write Or Die. Reblogged this on poladoc66's Blog. I am about to start the Medieval Period in my World Studies class. What a splendid article to share with my students! Using my material for your class, it’s simply the best thing to hear. Having that audience in mind when I write! Hope they like it. Love the idea that mankind has changed so little. Medieval man made beer, was charitable, and created selfies. Great information! I haven’t ever thought of this myself, glad someone is thinking outside of the box! What a great idea for a post. LOL. I wish your inspiration would rub off on me; I’m in a dry spell. Congrats on being Freshly Pressed!! Reblogged this on The Dune Librarian. Reblogged this on arne´s comfy couch. 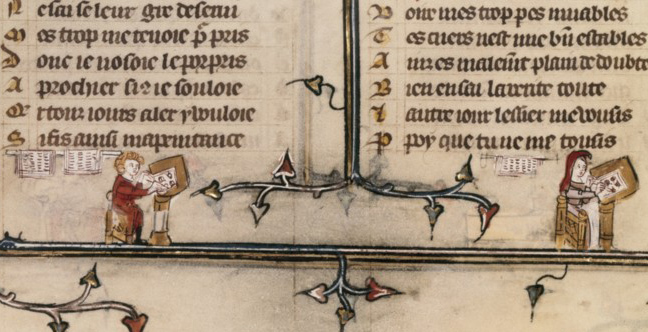 Question: In your blog, I notice that you do not use gloves when handling the manuscripts. Is this a common practice? We taught that in the handling of any older document, gloves were a necessity. I have really enjoyed the blog entries. Thanks for your comment. 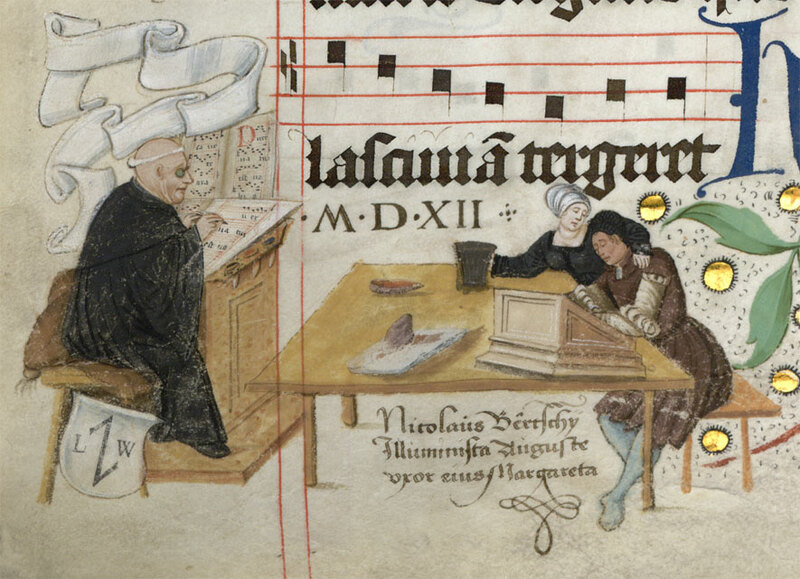 Contrary to popular believe, it is better for the manuscripts if you don’t wear gloves. Flipping pages is harder with them on, which causes damages. Read more about it here. I want to share with you another medieval selfie, from the X century in Spain. 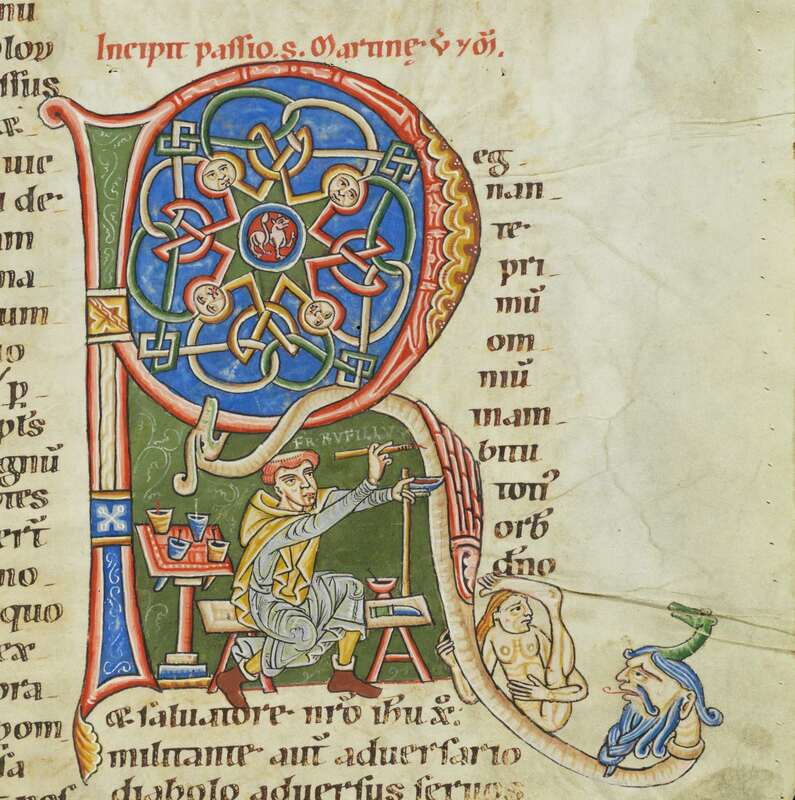 Two castillian monks who copied and decorated a Bible in 960. They represented themselves at the end. I just wanted to say thanks for your blog. I’m teaching English to a medieval historian and have shared some posts with him as they are well-written and interesting. They are very accessible, packed full of lexis, and have provoked some interesting discussion; so “ačiū”, which is Lithuanian for “thanks”! It is really nice to hear the posts are so useful for your purpose. Thanks for letting me know! Un bellissimo articolo! Grazie – A wonderful article! Many thanks! Reblogged this on mini medievalist. Medieval art is its own world. Check out the illuminated manuscripts in the Getty the next time you’re in Los Angeles. This was a very interesting topic. I never thought of the self portraits a selfies. It just goes to show you that what they think is a new idea was done along time before they ever thought about it..
And if you’re in New York, check out the Cloisters. I loved this! It’s fascinating to see how much more detail people put into their self portraits then now. They took such care into drawing their surroundings as great representations of themselves. I particularly liked figure 3 I think the detail is astonishing. I loved this look at the portraits. I had no clue they were there. What a joy to learn about them. Such beautiful work! Very informative and educational. I liked this blog very much.